Product prices and availability are accurate as of 2019-04-10 17:01:31 EDT and are subject to change. Any price and availability information displayed on http://www.amazon.com/ at the time of purchase will apply to the purchase of this product. When you're telecommuting or running a small business out of your home, you need immediate access to your company or clients. E-mail is great, but if you need to approve or sign a document, you need a fax machine that can receive and send important papers right now. 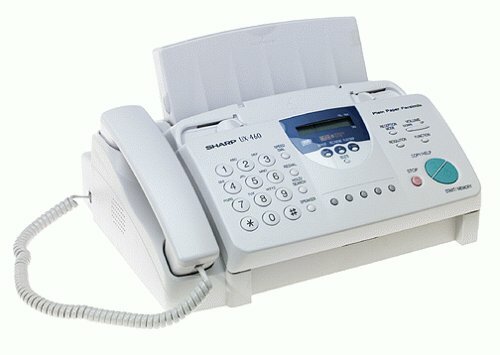 The Sharp UX-460 plain-paper fax machine is the ideal office machine. In addition to its faxing capabilities, it acts as a copier for both letter- and legal-size paper.